In December 2018 we opened two new rooms for postwar and Second Avant-garde, we have incorporated three new artworks by Picasso and you can visit the Room project, by Pedro G. Romero, in the space dedicated to the Civil War. 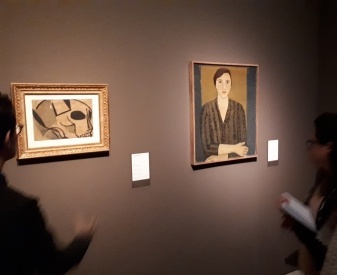 We reopened the first floor of the museum, dedicated to Modern Art, in September 2014, after a process of renovation of the collections, the galleries and the museography. 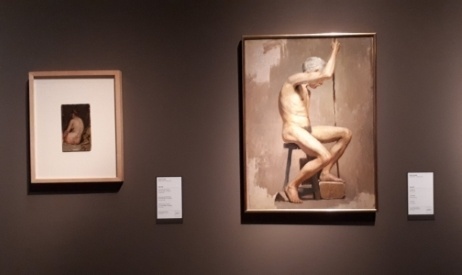 The new display offers a new critical and complex narrative that avoids the mere succession of styles and names and includes all the artistic productions of the period:sculpture and painting, drawings and prints, photography, poster work, cinema, architecture and the decorative arts. 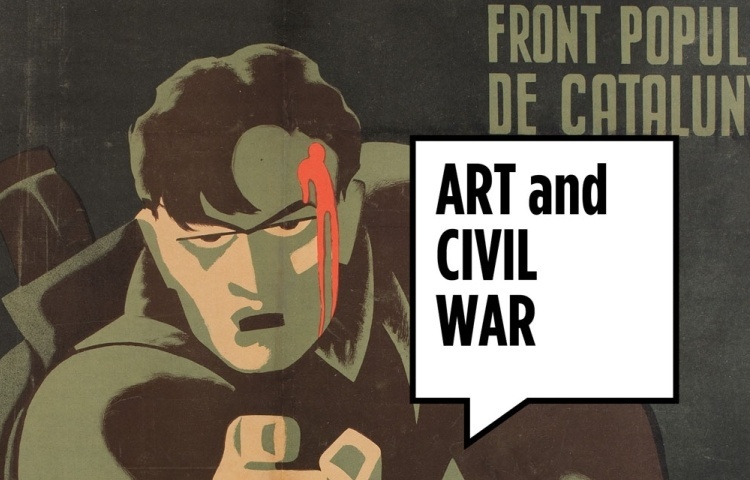 Now there is a greater presence of elements that will help you to understand the social, historic and artistic context, and which highlight the international connections of artists and movements of Barcelona and Catalonia. The new display goes for the first time as far as the 1950s, including the movement Dau al Set (the first post-World War II artistic movement in Catalonia). 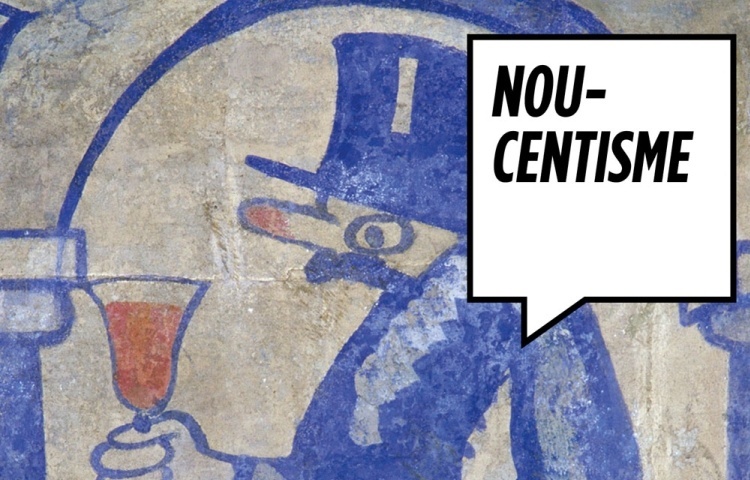 Modern Art permanent exhibition is divided into four sections and an epilogue: The Rise of the Modern Artist, Modernisme(s), Noucentisme(s), Art and Civil War, and The Avant-garde Revival of the Post-War Years. In the mid-19th century, at the same time as bourgeois society was taking shape, the figure of the modern artist appeared on the scene. Unlike the artist under the ancien régime, who was tied to the official symbolic cycles of the Church or the aristocracy, the new artist had as his stage the anonymous market or the cosmopolitan city. Faced with a situation in which art had become merchandise, the artist invented a new religion, art for art’s sake, in which he was the high priest. 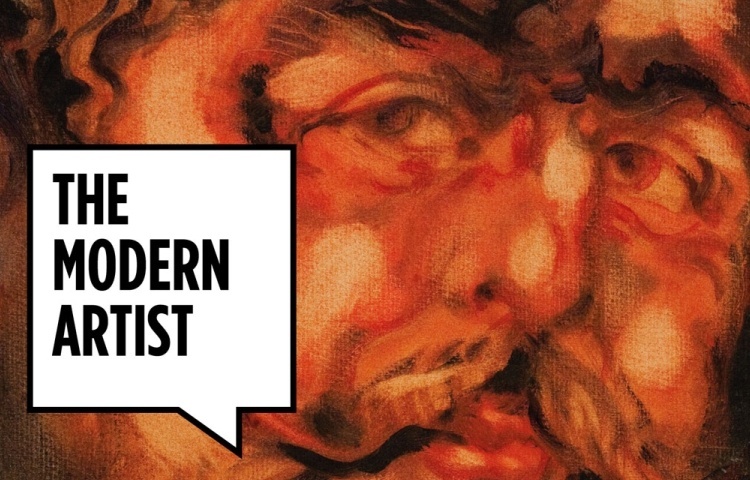 In a society in turmoil, governed by bourgeois decorum and shaken by the class struggle, the artist presented himself as the specialist in freedom and adopted the form of the dandy, the bohemian, the revolutionary or the avant-gardist. The key to the modern artist, then, seems to lie in his confrontation with the conventions of bourgeois society and with the bourgeoisie themselves as a class, but this contains a profound paradox and a terrible aporia, as the bourgeois enemy is also his client, and art, however revolutionary it might seem, is one of the stars of the market in luxury goods. As the stage for bourgeois power and the class struggle, the city in turmoil at the turn of the century was also the setting par excellence of modern art. All the effects of industrialisation, of technification, of the market in luxury goods and of the new mass markets in consumerism, fashion and entertainment, of the exaltation of the image and of iconoclastic violence, of construction and destruction, of freedom and repression... are to be found there. The modern artist, in his twofold capacity as a dandy and a bohemian, thinks he can frequent all its strata, from the drawing-rooms of the bourgeoisie, his clients, to the tavern, the brothel, the music hall or the street, where he identifies his bohemian freedom with that of the marginalised and the down and out. In the city, the traditional arts find their place among the arts and crafts and the new media –photography, illustration, film– to create the styles of the 20th century. Modernisme was the equivalent in Barcelona to movements like Art Nouveau, Sezession, Jugendstil or Liberty, names in which the concepts of novelty, breaking and youthfulness are present. 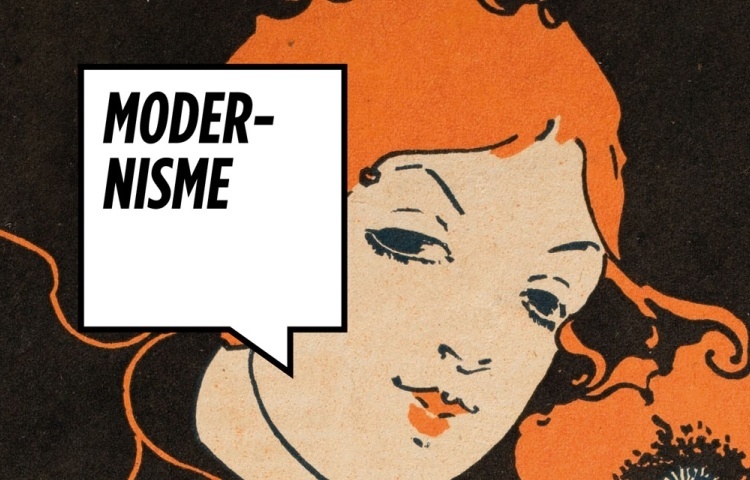 The same as in these cases, Modernisme embraced not only art but every field of culture, of social life and politics, and it was to be decisive in the symbolic production of the Catalan nationalism of the turn of the century. By the first years of the 20th century, various cultural and artistic sectors all over Europe were reacting against the end-of-the-century styles –Art Nouveau, Modernisme, etc.–, which they accused of being decorativist and irrational and of lacking form and structure. This reaction came about in two ways: first, as a return to classicism, and secondly, through the different avant-gardes that turned a critical eye on the function of art and the role of the artist in an urban, industrialised society in which the prestige of the utopia of bourgeois progress was nevertheless being brought into question by the wars and revolutions taking place, no longer in remote colonies but in Europe itself. Following the horrors of the First World War, under the slogan ‘return to order’, a new reaction took place, this time against the avant-gardes and very often actually from inside them. Against the radical experimentation with techniques and materials of previous years –collage, assemblage, etc.–, and against more abstract tendencies, there was a defence of the return to traditional trades and a new realism which in fact would become the object of various interpretations. General Franco’s coup against the legitimate government of the Spanish Republic on 18 July 1936 marked the start of a civil war that ended in 1939 with the victory of the Fascists and the defeat, persecution and exile of the Republican forces. From the first moment, realising the need to let the world know about the dramatic situation of the Spanish people and to coordinate the diffusion of the image of the struggle against Fascism at home and abroad, the Republican institutions set up propaganda systems that achieved their best results in the activity of the Commissariat of Propaganda of the Generalitat de Catalunya, directed by Jaume Miravitlles, and subsequently of the Ministry for Propaganda of the Republican Government. 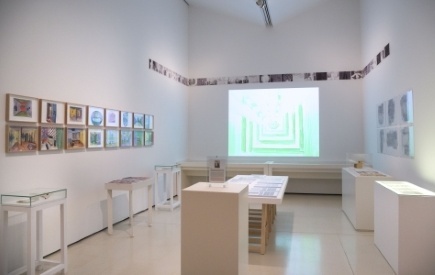 The traditional arts –painting, sculpture, engraving– and the new media –illustrated publications, posters, photography, photomontage, film, etc.– converged in a sort of total mobilisation which, in conditions of utmost drama and urgency, realised many of the aspirations of modern and avant-garde art, especially those that see the artist as a producer and leader of the masses. At the end of the 1940s, a series of cultural and artistic groups sprang up who tried to recover the drive of the avant-garde that had been lost after the Civil War. Dau al Set, founded in Barcelona in 1948, was a paradigmatic representation of a situation which, while nevertheless announcing new paths, remained rooted in the models of the classic avant-gardes and, especially, in Surrealism. Dau al Set undoubtedly exemplified a beginning, but also, in many ways, the end of an artistic cycle that had begun four decades earlier in the first years of the 20th century.